2. Now we are ready to add the header navigation to the _Layout.cshtml file, which is the layout specified as the default layout in the _ViewStart.cshtml file. 4. Once we have the head section defined we can define the header section of the layout. 5. The following section defines the menu when the screen gets really small and the elements have to be stacked because it does not have the width to display everything horizontally. 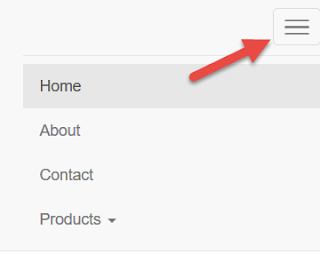 You will notice that in mobile mode the "Products" dropdown menu gets cutoff, we will fix this issue later on in the tutorial with our custom stylesheet. 6. 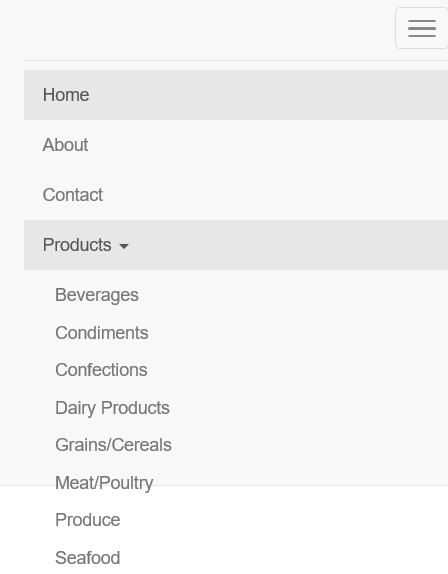 Now we want to define the actual navigation bar, type in the following code to define the "Home", "About","Contact" tabs, and the "Products" drop down. 7. Now we want to add a jumbotron to make the navigation stand out a little bit. 8. To style the jumbotron we have to create our own stylesheet so that it does not interfere with the default bootstrap styles. 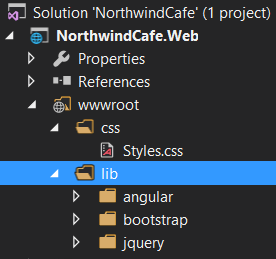 So create a new css file in the wwwroot → css folder and give it the name Styles.css. But what about the issue we had with the dropdown menu being cutoff? To solve this issue we want to add a css property of overflow: visible to the navar class. 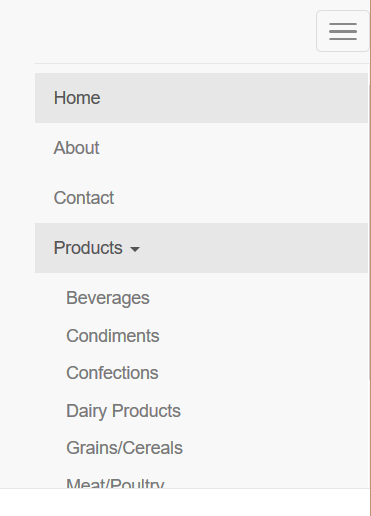 That just tells css to to make the the dropdown menu visible when it goes outside of it's container. Now you will see that the dropdown menu is displayed even in mobile mode.